Treat your dreams like a grade of Matcha; the more work and care you put into them the better the outcome. A piece of wisdom, I propagated at the Matcha Tasting Workshop I attended at United By Blue’s cozy space (located on 3421 Walnut St.) hosted by Rikumo, a couple of months ago. (Disclaimer: I might have taken that propagation too seriously, since it took me that long to post a blog). 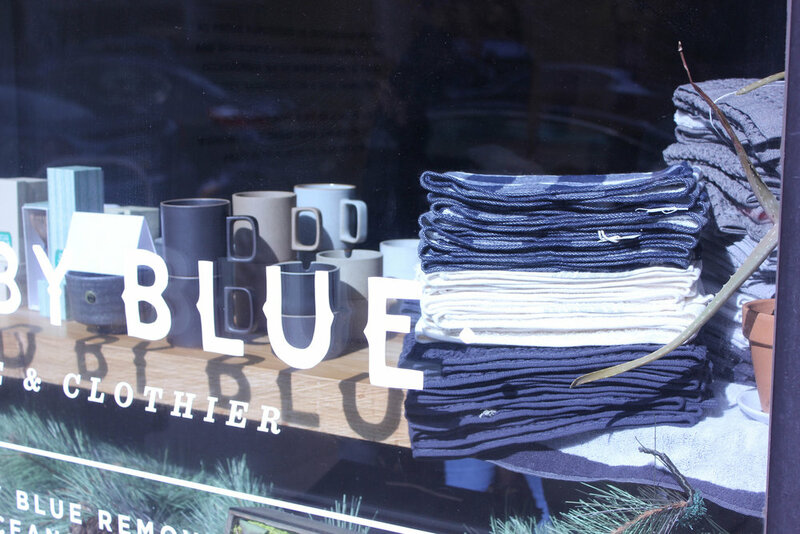 United By Blue is a coffee shop and outdoor lifestyle brand dedicated to selling responsible durable goods, while diverting a pound of trash from oceans for every item sold. Founded on a local scale, they have created a large impact across 27 states removing 1,051,079 lbs and counting of trash! Under these great provisions Rikumo, an exquisite Japanese concept store (located on 1216 Walnut St.) collaborated to serve the finest cup of Matcha. This joint effort provides an aesthetically pleasing presentation and impulse for outdoor adventures! 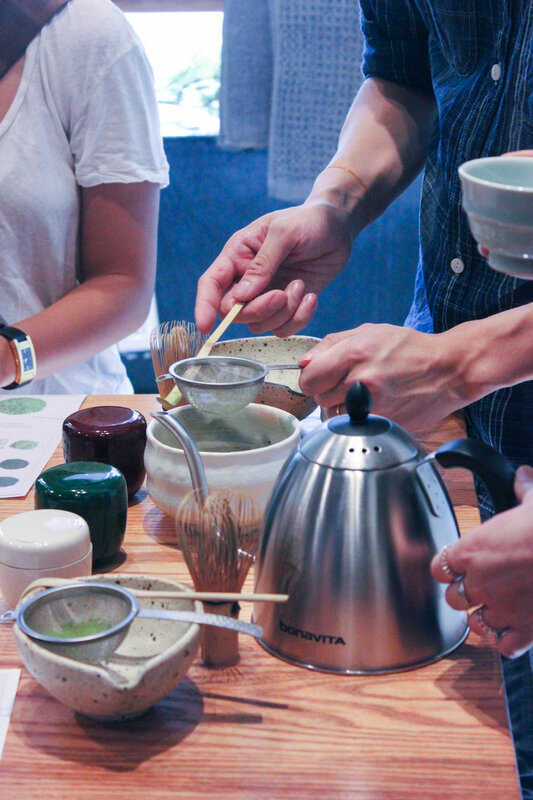 The workshop was a beautiful “modern-day” approach to the ritual Japanese tea ceremony, better known as Sadou (茶道). Everything about making the cup of matcha meets the sustainable moushmoush standards (not sure if this will be a thing but we’ll see) from the organically sourced tea, to the bamboo tools, and the philosophy behind it. Miles, the manager of Rikumo, first explained to us - the attendees - the history of matcha, which was first introduced to Japanese Zen monks, in the late 12th century, to help them stay awake and alert for long periods of meditation. Knowing where and by who a product is sourced does not only help you rest re-assured that the manufacturers are ethically treated but it's kind of like revealing a pretty cool hidden secret. The matcha was organically sourced and grown in Uji, Japan from the Morihata Tea collection, by five generations of master tea harvesters. Before we throw the organic word precariously, its been given the stamp by JONA (Japan Organic & Natural Foods Association) and USDA standards. So what does it mean to be like a grade of Matcha? Each grade’s quality is determined by the location of leaves, the care put into the processing and grinding of the leaves and the prevention of premature oxidation. The more care and attention given to these steps the higher the quality. Now I’m no tea connoisseur but could pass some judgement, maybe, based on the last coffee/tea hopping I did around philly last year -- that makes me an expert, right? The first grade we tried was the Classic grade, or Sei, which from what my taste buds would recall was slightly bitter and intense. The next grade was the Ceremonial, or Waka, a good balance between the two other grades. It was smooth with a bright rich taste. Finally the highest quality grade, made for the tea connoisseur (again, me right ;)) in mind, was the Premium Ceremonial, or Jun. This unforgettable sip of premium goodness was the lightest and smoothest of the three. After, trying these three grades, the attendees and I, all experienced a sense of tranquility and attentiveness. I say this with caution, because with any statement like this, it could be that I’d been carried away by the placebo effect, or merely the mindfulness and thought put into making a cup of matcha. Perhaps matcha heals you physically, and its ritual heals you mentally. Proceeding into the benefits of matcha it has been assessed as an alternative medicine with antioxidants, such as polyphenols, that “fight free radicals, damage compounds in the body that change cells,” in other words prevention of cancer and heart disease. In an ever growing to-do list, and stress from work or personal life, meditation and health is a reboot to our spirituality. Being mindful of making your tea or coffee in a mug is a great morning ritual, (personally it has helped me renew my intentions in understanding that daily routines and our success is for and by Allah, (God)). To many of us, our mornings consist of “on-the-go” coffee from a mainstream coffee shop in non-reusable cups. Quick and easy. However, what follows is a feeling of jitteriness, paranoia, and a caffeine crash by noon, feelings that not only I experience but my co-workers have expressed to me as well. Also, don’t forget about the non-reusable cup that gets tossed in the trash with its other friends. Starbucks alone, “goes through 4 billion to-go cups annually but most of them end up in the landfill.” Feeling doomed by this statistic, I started to make my own cup of matcha, with my matcha making tools and reusable keepcup before taking the train to work. Doing this really set the tone for my day and helped me establish a positive mindset. You may not have time to make your matcha, tea, or coffee in the morning but simply taking your reusable cup to a coffee shop will help you alleviate your impact on the environment, and in return becomes a win-win for feeling good and saving another cup from going to the landfill. By noon I'm ready for another hot beverage and in a designer thinking cap, I'm starting to think our kitchenettes at work really need a revolution (this would be another blog post, so for now save this thought). Afterall this is what a collaboration between Rikumo and United by Blue suggests an aesthetically mindful lifestyle while reducing your carbon footprint and impact on earth! Inspired to make your own cup of matcha? (or you’re probably rich by now for the amount of times I mention matcha in this post.) Below is a guide of tools to use and the preparation process. Preparation: Add two scoops of Matcha into mug with a bamboo scoop (optional: sift matcha), heat filtered water to a boil and allow to cool for 30 seconds, pour water over matcha and whisk vigorously until foam is created, and enjoy!